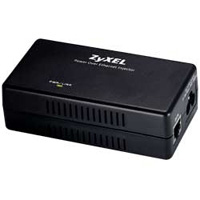 ZyXEL PoE-12 is a single-port Power over Ethernet (PoE) Injector that infuses and transmits electricity through unused pairs (4/5 and 7/8) in CAT-5 Ethernet cables, while data flows are carried by the other pairs (1/2 and 3/6). 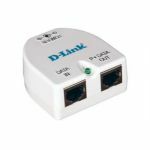 As such both power and data can be delivered to PoE devices (PD) via a single CAT-5 Ethernet cable without extra power supply. 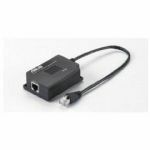 With the PoE-12, non-PoE switches can now power IEEE802.3af compliant PoE devices through an effective single CAT-5 Ethernet cable link up to 100m in length. 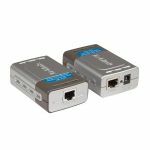 In other words, users can install any IEEE 802.3af compliant PoE devices like WLAN access points or IP surveillance cameras with more freedom. 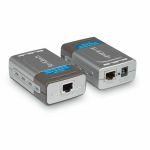 Unlike traditional solutions, the PoE-12 can now take advantage of the effortless connectivity in challenging places, such as ceiling or top of wall, without laying power cables. It means that the devices are now untied from power outlets for maximum flexibility. The PoE-12 is easy to use and needs no configuration. 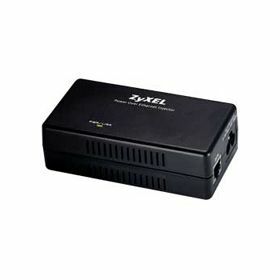 Since only simple inbound and outbound cable plugging is required, installation is straightforward and can be performed by users without power cabling expertise or expense.